You are just too cute . . . I love your version of flowers on Friday! I’m glad you had actual flowers, mine are not. My flowers are the quilted type. Forgive the educational information, but for the readers who don’t know, I am a longarm quilter. People trust their finished quilt top to me to turn into a quilt. I sew the quilt top together with batting and a backing fabric. My sewing machine is called a longarm because the distance between the back of the machine and the needle is 26 inches, which is much longer than that of a regular machine. 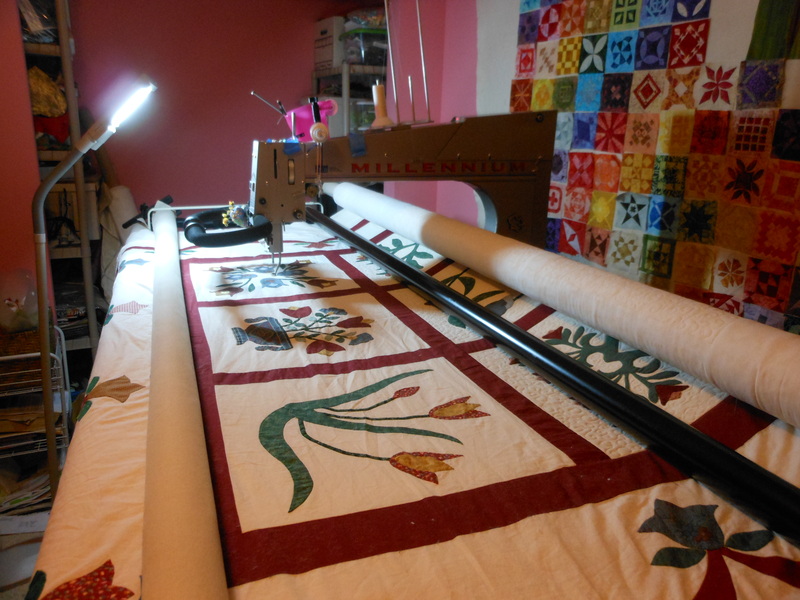 This is my Flowers on Friday blog entry on my longarm quilting machine. (The quilt blocks on the wall are my F Jane – 9 rows down, 4 more to go.) 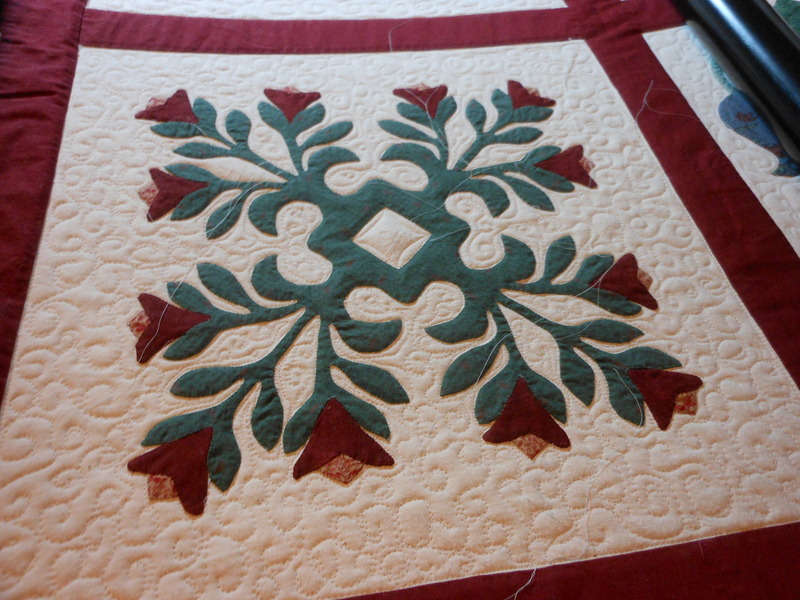 The quilt on the machine is an applique style. 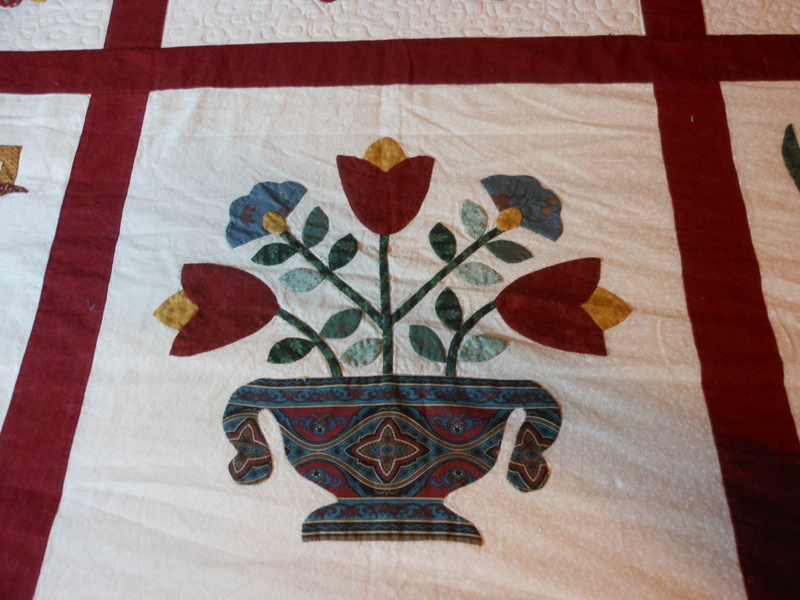 It is called an applique quilt because the colored pieces of fabric are stitched onto the background. After the quilt is loaded onto my 12 foot table, my fun begins. First, I stitch around each applique, then do a background filler to make the applique stand out. I haven’t tied the strings yet. 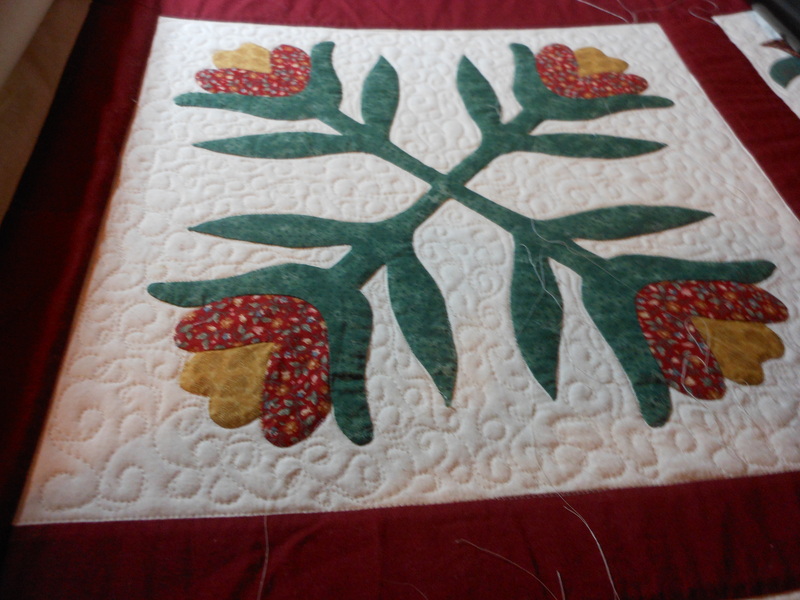 I will add more quilting onto the flowers and the leaves. 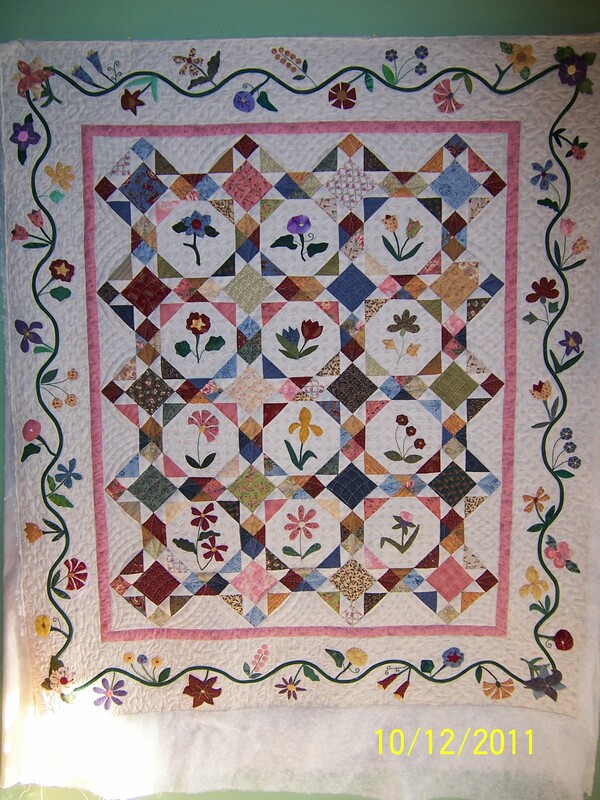 The lady who made this quilt top is one of the senior members of the Feather Princess Quilt Guild. It is beautifully stitched. I feel my job as a quilter is to enhance the beauty of her creation. This is the second quilt I’ve quilted for Miss Emily, below is the first one.